I recently finished reading the book that contains the above quote in an updated paperback edition boasting a “new preface”. I’m no historian and nor am I particularly familiar with the politics of the time, so I learned a great deal from this excellent biography of Clement Attlee. I’ve no quibbles with John Bew’s main text. His book seems an entirely worthy winner of the 2017 Orwell Prize, being both readable and enlightening while also fulfilling its central premise: to support the result of a 2004 Academic Survey that named Attlee as the greatest Prime Minister of the twentieth century. The only part that struck me as being off the mark was that preface I mention. In it, Bew reflects on the result of the June 2017 General Election; one that few believed would end in anything other than a Conservative landslide. Of course, the vote actually resulted in a hung parliament and a billion pounds to the DUP, a bribe that allowed Theresa May to continue in power indefinitely. Bew is awfully sniffy about the achievements of Jeremy Corbyn in getting more than thirteen million votes and very keen to nip any comparisons between Corbyn and Attlee in the bud. Of course, I’d expect this of someone whose success grew from his privileged background (Bew’s father is a renowned professor) and heads up projects for right-wing ‘think tank’ Policy Exchange, it’s just a shame Bew is so blind to the evidence of his own eyes. Perhaps I ought to give him the benefit of the doubt. Bew was writing the book for years prior to 2017, before the election campaign and result. He’s part of an establishment still caught up in the old way of thinking about Corbyn and that entirely transformed party he leads. Back then they used to believe he was a throwback, unelectable, a joke. The Britain we live in, one that continues to give the top 10% of earners so much, could never accept ‘socialism’. So tax havens for the super-rich must remain in operation, privatization continues as our prevailing ideology and selfish individualism will go on until the planet is utterly destroyed. They’re not saying those things about Corbyn now, not as the most incompetent government of my lifetime inflicts a succession of ever-deepening self-inflicted wounds. Meanwhile Corbyn has moved from the mistake-ridden hesitancy of the lifelong opposer to what is an essentially unassailable position, having gained the backing of the bulk of his party. Whatever fundamentalist Remainers or the Tory-backed polls say, Labour’s vote share is rising and will continue to do so. At some point over the next four years a General Election will be held and I believe that Labour will win it, whether the party continues to be led by Corbyn or not. This will be more down to sensible policies and a highly effective shadow front-bench than any individual. 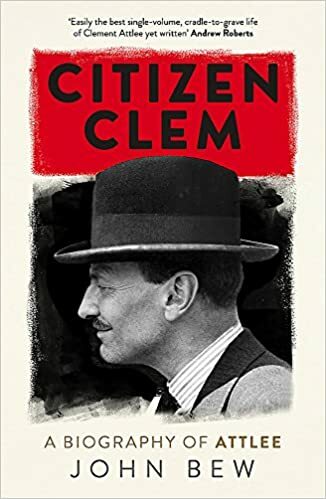 But as I read ‘Citizen Clem’ it became obvious there are similarities between Attlee and Corbyn, and that the preface to Bew’s book is much poorer for his failure to highlight them. That’s why I’ve decided to go over a few of the parallels here, for the benefit of ‘Corbynistas’ everywhere. Clement Attlee was in his sixties by the time he became Prime Minister, having spent much of his political life up until then ploughing a lonely but ideologically consistent furrow within his still-young party. 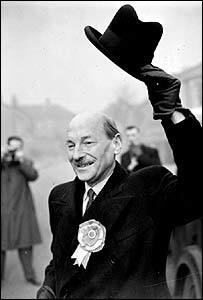 By the post-war years Attlee had been party leader for a decade, biding his time while grafting behind the scenes and waiting for his moment. His approach was characterised by tenacity and patience; Attlee was never a great orator or especially charismatic. He wasn’t even a particularly memorable man, being described as “a sheep in sheep’s clothing” or a “poor little rabbit” by his fellow politicians. Attlee’s convictions weren’t immediately apparent either; he didn’t shout them from the rooftops and this meant some assumed he lacked stature, wasn’t particularly ‘statesmanlike’. The man was terrible at handling the media too, he simply didn’t see it as a vital part of the job. Attlee even described himself as “very diffident” and so self-effacing was the man, he was insulted as “insignificant”, “inconspicuous”, “dull and puny” by contemporaries. This was, Bew writes, not someone who could seize a historic moment with a great speech. But the long view has been kind to him. Attlee led the most transformative government of the century, created the NHS and Welfare State via the National Insurance Act, built vast tracts of social housing, raised the school leaving age to sixteen and moved Britain out of that internationally despised ‘Empire’ toward the relatively benign ‘Commonwealth’. Most eye-catchingly of all, he defeated mythologised wartime leader Winston Churchill in the 1945 General Election. How on earth did he manage that? Before reading the book this seemed inexplicable, that a populist war hero could be barged out of office by some leftist non-entity. In fact, there were three major reasons why it happened. First, Attlee and his party had been busy laying the groundwork for a genuinely positive manifesto, both in coalition with the Conservatives and back before the war. By the time Churchill ‘went to the country’ his opposite number had been in post long enough to have moulded the party in his image, despite continual in-fighting on the fringes – plus ca change. Second, and most importantly, ordinary British people vividly remembered the betrayal that had been visited on them twenty-seven years earlier. After the First World War a coalition of Liberals and Conservatives were elected, promising (among other nebulous concepts) a happier country for all and full rehabilitation for those who served in the trenches. It didn’t happen - they lied to win votes. As the Liberal Democrats are currently finding to their cost, the British public tend to have long memories. Finally, Churchill screwed up his campaign. The right-wing scaremonger overplayed his hand by alleging state socialism couldn’t exist in Britain “without some form of Gestapo to enforce it”. Yes, Winston denigrated a party that had worked tirelessly to help him defeat the Nazis by inferring they were actual Nazis, and he expected the public to believe such nonsense. When Attlee took apart the ridiculous hyperbole of his former boss, calmly and rationally, the electorate were left in no doubt who was the honest one; which of these men they could trust. Wild accusations such as these will be familiar to anyone who has witnessed the establishment attacks on Corbyn since he became Labour leader. As Bew writes of Attlee, while electioneering: “he was subject to almost daily criticism, some of it verging on the hysterical”. In fact, the most vociferous complaints would come from Attlee’s own side, propaganda that featured in the left-wing Daily Herald and Tribune. Those familiar with the confected anti-Semitism smears against Corbyn over the summer; spread by the supposedly impartial BBC and privileged Guardian journalists, will see the similarities. Indeed, the Guardian actually backed the Liberals in 1945 and no doubt they will revert to type at our next General Election by endorsing the LibDems, or possibly the Womens’ Equality Party. 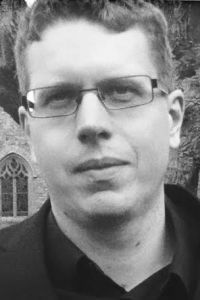 Like Attlee, the current Labour leader has been repeatedly derided as “weak”, an interesting complaint for a man who has withstood continual attacks, a leadership challenge and the permanent revolt, opprobrium or physical threats from centrists in his own party like Chuka Umunna and Jess Phillips. What they mean by “weak” is that Corbyn doesn’t come across as ruthless, overbearing or shouty. Rather his unassuming demeanour is used as a stick to beat him with, just as it was for Attlee, of whom Labour figure Beatrice Webb once noted: “he looked and spoke like an insignificant elderly clerk”. But what these critics of Corbyn and Attlee underestimate is their sense of purpose, the dogged consistency, hard-earned wisdom and, most importantly, everything that appeals to a younger generation caught up in ‘Corbynmania’. That means his consistent integrity, the sense he truly stands for something. Without this quality Corbyn could never have turned Labour into the first genuinely progressive major party in forty years. They now have overwhelmingly popular policies on nationalisation, fighting inequality, halting climate change, ending poverty and homelessness and properly funding our public services, all achieved through a concept too taboo to be mentioned during the neoliberal era: taxing the rich. Oh, and more Bank Holidays too. Don’t forget to mention those when the ill-informed or brainwashed tell you they “could never vote for Corbyn”. In this light Corbyn’s less “colourful” qualities become a badge of authenticity. Over the last few years he has moved from a stance of permanent protest fostered by right-on North London cliques to become a figurehead for a new way of doing things, along with the likes of Jacinda Arden, Bernie Sanders and Yanis Varoufakis. His approach has led the Labour membership to sky-rocket and it now stands at more than half a million, while the slogan ‘For The Many, Not The Few’ resonates with tens of millions left behind by stagnant wages, soaring utility bills and slash-and-burn profiteering. As Bew observes in ‘Citizen Clem’, the result of the 1945 election changed the zeitgeist, registering as a “vote of no confidence in the governing class”. Today the success of anti-establishment candidates internationally (or apparently anti-establishment candidates) continues to send shockwaves around the world. To reiterate, I don’t hold with the tendency to either sanctify or undermine Corbyn’s party on the basis of his individual qualities or lack thereof. I believe many of his team are equally adept and skilled if not more so, from John McDonnell to Angela Rayner, Kier Starmer to Emily Thornberry. Hopefully one of these individuals will showcase their undeniable talents and run Labour when Corbyn steps down. Where I do give him credit is in the way he has brought progressive politics back onto the British agenda, expanding the ‘Overton Window’ of what can and cannot be envisaged. As with Attlee, Corbyn does not demand total loyalty from those around him as a ‘cult leader’ might, and he no doubt believes “Machiavellian manipulators of men” are overrated, just as his predecessor did. With courage and selflessness Corbyn also “let himself become a lightning rod for discontent in a way that prevented the rupture of his party”, as Bew observes of Attlee. This allowed Corbyn’s shadow cabinet to get on with vital preparations, undistracted by media attack lines. He didn't flinch when Blairite Labour MPs, who all did very well from deregulated capitalism, tried to bring him down. He has prevailed, again and again. As in the post-war years, our country now finds itself sick of career politicians, tired of the showmanship and mendacity that has seen the likes of slick Cameron or ubiquitous Johnson bring this country to its knees. Whatever the Americans who were bemused by Attlee’s reticence and can barely comprehend Corbyn’s embrace of social democracy think about this lack of ‘high drama’, we can see where the alternative has led them. Most thoughtful Brits would prefer substance over style when casting their ballot nowadays. That this substance is delivered by a man once dismissed as a joke is testament to the many strengths of Corbyn, ones that truly make him the heir to Attlee. Today even Conservatives invoke the man Bew calls ‘Citizen Clem’ to try and make Corbyn seem lightweight by comparison. The irony is that Attlee was referred to as a political “pygmy” in his time too. I think, in doing this, the Tories wish to bask in the reflected glory of the Labour leader who birthed our system of Universal Healthcare, even though their party voted against Attlee’s plans at the time. But then, Conservative ideology has always come with a side order of neglect; the enduring belief its best to leave some of the poor to die. When Theresa May mentions Attlee in her Party Conference speech, she has no idea how this reference backfires under scrutiny. As far as I’m concerned, no one is more straightforwardly comparable with Attlee than Corbyn, for good or for ill. As the Daily Mail, of all places, once wrote: “At first sight Attlee seems insignificant, but from one thing even his enemies – inside the party or out of it – have never even sought to detract [is] his integrity”… [which while] inconspicuous… should not, in fairness, be underrated”. I wonder whether Corbyn’s most virulent detractors will be forced to acknowledge similar aspects of his character in the years to come.